Donna Paton has been a dental hygienist for the past 25 years. She graduated in Scotland from Dundee Dental Hospital in 1990. She worked full time after graduating In Edinburgh until 1997. After a few living in Switzerland for 3 years she moved to Ireland in 2000. Donna joined the association in 2002. In 2013 she volunteered to join the committee and soon after was given the role as Journal editor. After 3 years and 6 journals later Donna has now taken the role of Secretary and president–elect. In November 2016 she was appointed president. Isobel started her career in dentistry in 1984 as a dental nurse. She worked in a general and ortho practice. She qualified as a dental hygienist in 1987 from Glasgow dental hospital. She worked in London’s Mayday hospital and in private practice. She moved to Ireland in 1997 and took a career break to raise her family. She works in private practice between Tipperary and Waterford. 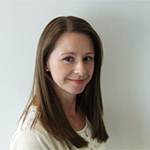 Isobel is a firm believer in CPD and keeping her skills and knowledge up to date. She looks forward to becoming secretary for our association. 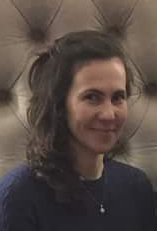 Jeannine Byrne graduated St Barts and The Royal London in 2000 with dual qualification Diploma in Dental Hygiene and Diploma in Dental Therapy. In 2002 she completed a Further Education Teaching Certificate. She recently completed the Specialist Certificate in Oral Health. Jeannine has worked in a variety of dental environments, specialist clinics, hospital, private and NHS practices including domiciliary settings. 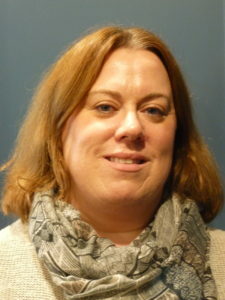 Jeannine joined committee in 2011 as Membership Officer, has covered Secretary post and is currently Treasurer. Louise graduated from UCC in 2011 with a Diploma in Dental Hygiene. She has been working in dentistry for over 10 years in a variety of roles including reception and dental nursing. She has a specialist certificate in Oral Health Promotion from NUIG. 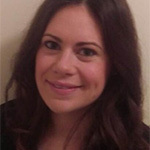 Louise has a keen interest in continuing professional development; she attends conferences regularly, and has previously chaired conferences for the Irish Dental Hygienists Association and the Irish Dental Association. In 2012 she joined the Irish Dental Hygienist Association as Secretary and in 2014 became President of the Association for a 2-year term, after a year long break from committee she now returns as membership officer and looks forward to working with committee once again and on behalf of all our members. Louise is a special olympics volunteer. Yvonne has worked in the dental field for almost 25 years, with qualifications in Dental Nursing, Oral Health Education & Dental Hygiene. She has travelled the world using her Dental Nursing qualification (1994), working both here in Ireland as well as the in the UK, Australia & America, in almost all specialities of dentistry both public & private. Yvonne returned to education in 2004 & graduated in 2006 with qualification in Dental Hygiene from Trinity College Dublin. Since then Yvonne has worked mainly in private practice but has set up a preventative Oral Health Unit in Stewarts Hospital, Dublin & aided with the set up of a mobile dentistry service provider to the corporate world, first of its kind in Ireland. Yvonne joined the association in 2007 as trade liaison Officer & employment officer & has remained in those positions since. Yvonne is happy now to work in general private practice in Cork & spend more time with her family! Sandra returns to the IDHA committee as trade liaison officer having previously served as secretary. For those of you who have yet to meet her, Sandra graduated in 1996 from DDUH and left to travel the well beaten track to the UK. She worked there for over 6 years in private, corporate and NHS practices. She currently works in a very busy ortho unit of the HSE. Sandra is excited about this role and hopes to build on the wonderful work Yvonne Power has done. She will endeavour to continue to grow our trade relationships. Elaine started her dental journey in 1997. On obtaining her certificate in dental nursing from the DDH she commenced work in a specialist practice in Dublin 4. During her time in this practice she realised her goal was to become a Dental Hygienist. She qualified with a diploma in dental hygiene including a certificate in dental radiography from the DDH in 2001. 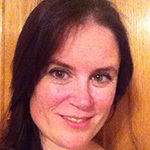 2005 saw Elaine become the assistant editor of the IDHA journal and a member of the committee. Unfortunately, a family illness and subsequent bereavement led her to resign. In 2009 she returned to the DDH to become proficient in ID block anaesthesia including the recementing of temporary crowns and fillings. She has spent the last 10 yrs working in a specialist practice in Dublin 4. Elaine is our new website manager and is looking forward to this new and exciting challenge. Sviatlana started her career as a dental nurse in 2012. In 2013, she obtained The Specialist Certificate in Oral Health from NUIG. She graduated as a dental nurse the following year and continued her study in DDUH in Dental Hygiene. Since graduating, she has worked in the specialist and general practice in Co. Kildare. Sviatlana is continuing her education and is currently doing MSc in Science by research in DUUH. She is looking forward to working with the committee and her new role! 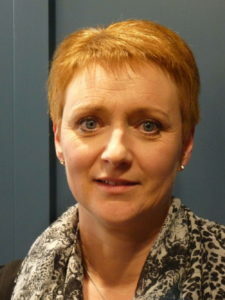 Yvonne Howell DipDH DipDT GCAP has worked in the dental health care profession for over 13 Years. She graduated in 2004 from Trinity College Dublin in Dental Nursing with Sedation and continued her studies at King’s College London graduating in 2007 with a dual qualification in Dental Hygiene and Dental Therapy. She has a broad experience in a variety of dental settings – hospital, private and NHS practices across London. Additionally she tutored Dental Hygiene and Dental Therapy students at King’s College University Hospital for 6 years and completed her teacher training at King’s College London in 2013. 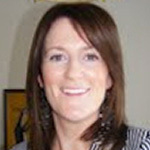 Yvonne is course director and tutor for the Dental Hygiene programme at the University of Dublin, Trinity College. 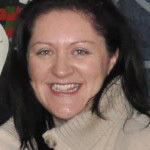 She is currently a committee member with the Irish Dental Hygiene Association and has just been appointed as the Dental Hygiene representative on the auxiliary dental workers committee in the Dental Council from 2015 – 2020. With a background in cell and molecular biology, Linda graduated from Trinity College Dublin as a dental hygienist in 2012. She has worked in general and specialist practices around Dublin. Currently she is woking in two general practices in south Dublin. Her enjoyment of attending conferences led her to become the continuous education officer. 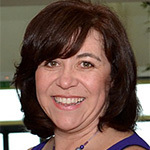 Linda is passionate about continuing professional development and continuing education. 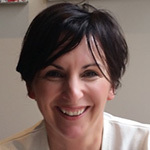 Barbara has over 25 years experience as a Dental Hygienist having trained in Edinburgh Dental School. From there she worked in private practice in the UK and Ireland moving into the HSE in 1995 where she remains today. She is also an ITOP international instructor as part of the Curaden dental educational programme and has worked in the UK, Sweden and Czech Republic aswell as at home in Ireland. She was a past president of the IDHA, continuing education officer, and has been IDHA treasurer not only once but twice! Currently she is the representative for the IDHA with the IFDH and the EDHF alongside Eimear. 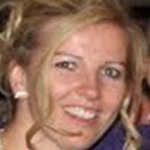 Eimear Mithen qualified with the Gold Medal Award from DDUH in 2006. 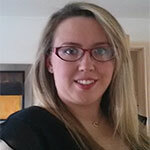 Eimear has worked in a number of specialist and general practices but now works in a single general practice. Eimear has been on the IDHA Committee for almost 10 years and taken on various roles in that time. Currently Eimear is one of the IDHA representatives to the International and European Federations of dental hygiene. In 2015 Eimear was voted as Secretary of the European Dental Hygienists Association.